Pacific Gardens Apartments are the designers and developers of quality homes. The apartments built by Pacific Gardens are at prime locations and are minutes away from shopping, entertainment, beaches, dining facilities. The apartments are fully equipped and with outstanding amenities such as spa and crystal clear swimming pools. 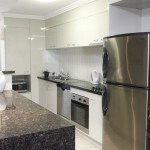 The apartments made are of two types namely single bedroom, double bedroom flats. The offerings of the apartments include tile counters, dryer and washer, walk-in closets, crown molding, and individual balcony equipped with French doors. The homes of Pacific Gardens are a great place to live in with active and interactive lifestyle. There are currently 0 consumer reviews about Pacific Gardens Apartments available. Share your review. Please take a note that you are about to post a public review about Pacific Gardens Apartments corporate office on CorporateOffice.com. This review will be public, so please do not post any of your personal information on this website. If you would like to contact the corporate offices of Pacific Gardens Apartments, please use their contact information such as their phone number, website, and address listed above to contact them. However, sometimes staff from Pacific Gardens Apartments headquarters do read the reviews on this website.